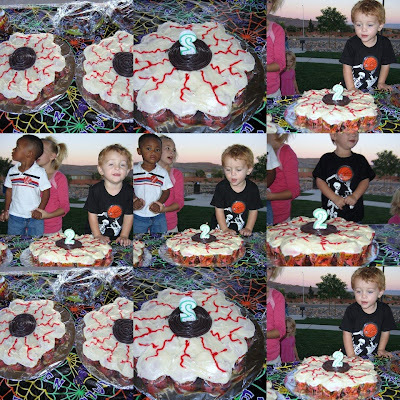 I made two eyeball cupcake cakes for Riggun's Birthday. That is cousin Boston next to Riggun which is usually the case. Those two are best buds!